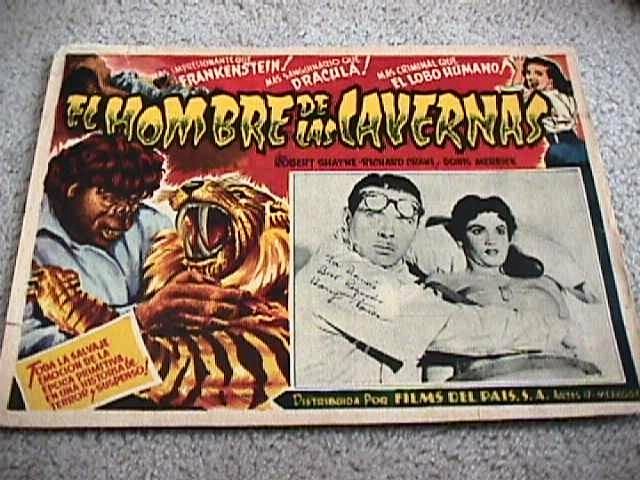 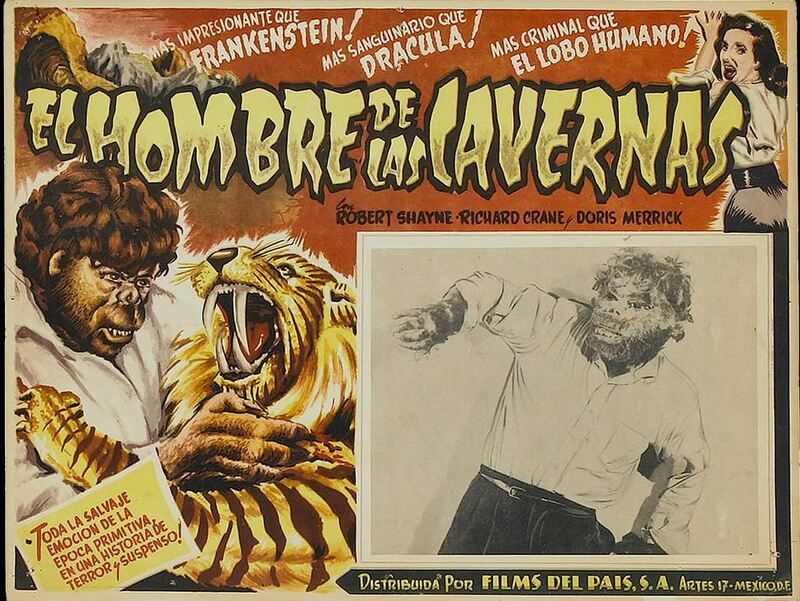 This title card from my collection was displayed at a movie theater where the movie was playing. 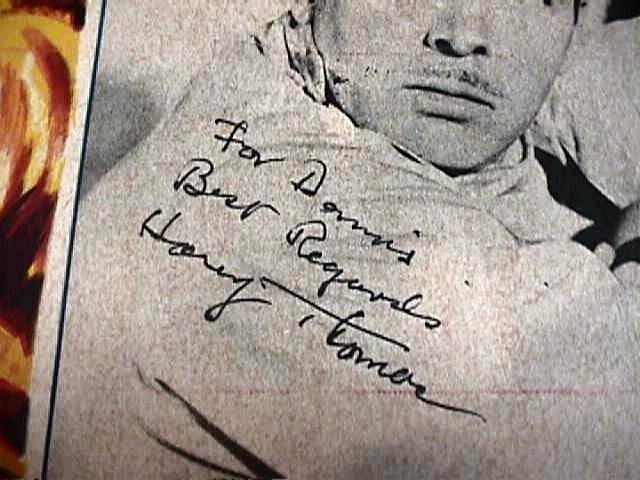 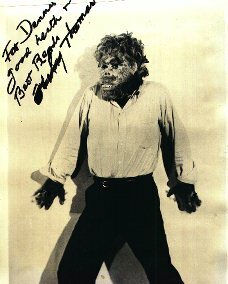 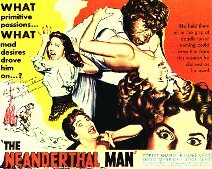 This is Harry Thomas making up the Neanderthal Man. 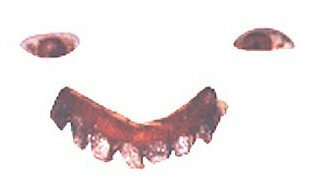 These are the actual teeth and eyes from 1953. 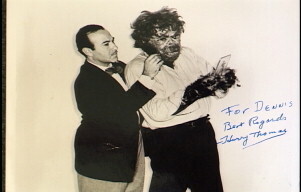 The teeth were cut from an orange peel, which says a lot about the film's low budget and Harry's creative effort to provide effective makeup for a low cost. 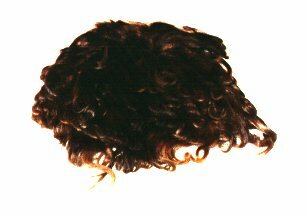 This is the wig worn by the Neanderthal Man. 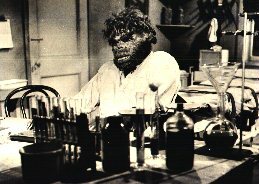 Here are two "key book" stills from the movie. 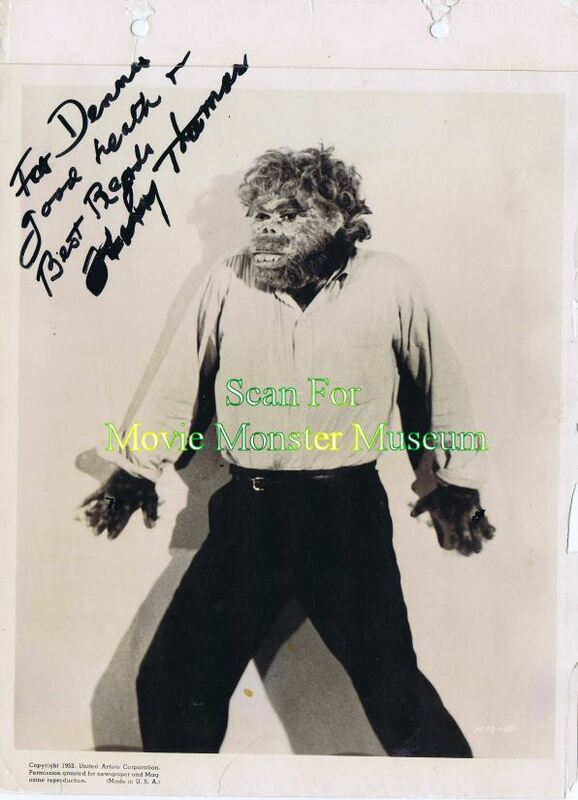 These were special photographs taken and kept on file at United Artists Corporation to design the movie posters and title card.